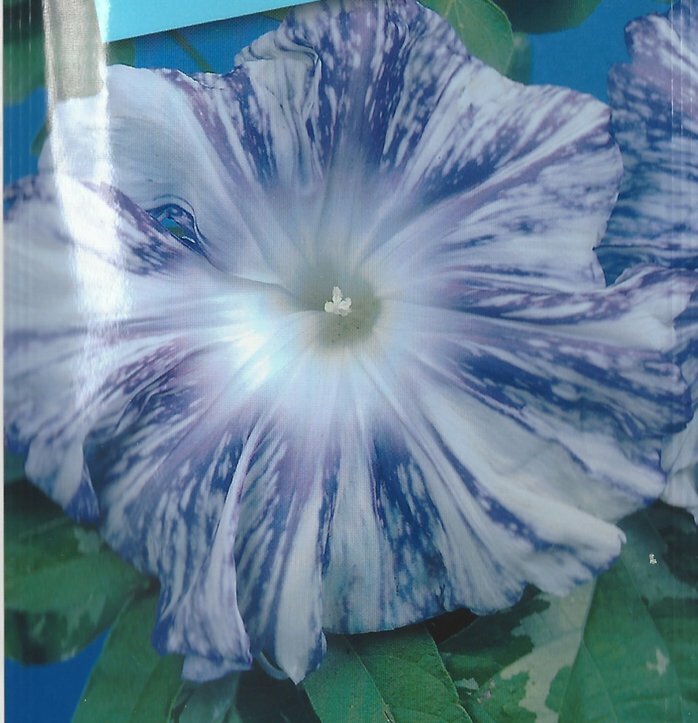 Japanese Morning Glory Seeds (I. Nil) in ORIGINAL PACKAGE FROM JAPAN! Youjiro: Ornamental Windmill, Mixed colors. These small-bloomed morning glories in various colors have white 'spokes' and edging on each bloom. 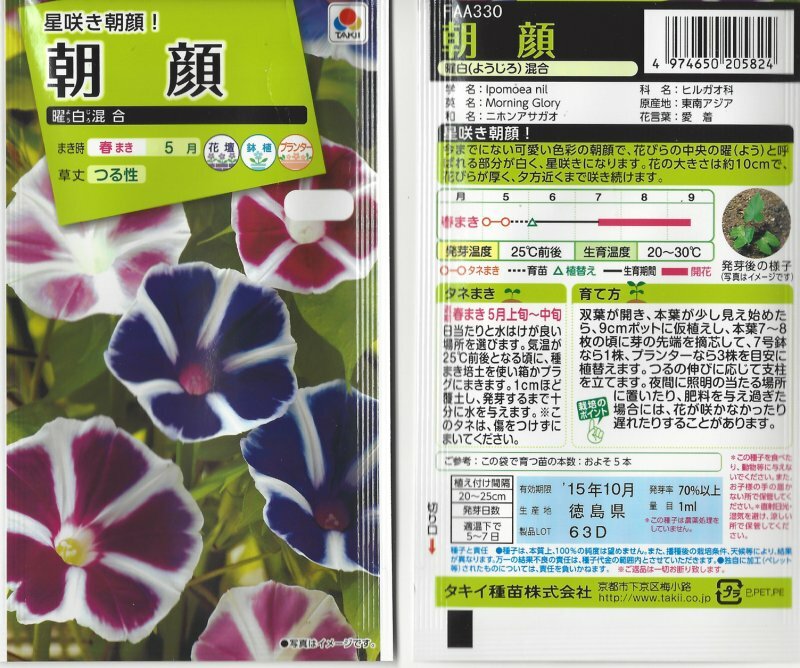 JAPANESE MORNING GLORY SEEDS (Ipomoea nil). These seeds are ARE IN THE ORIGINAL SEED PACKAGE FROM THE TAKII COMPANY IN JAPAN. These are not home-grown but professionally grown and packaged in Japan. You are getting the pure, original seeds here (not crossed)! All the Japanese Morning glories I've planted this year have had EXCELLENT germination results! Not only that - but you are getting the original package, which is a novelty and work of art in itself! 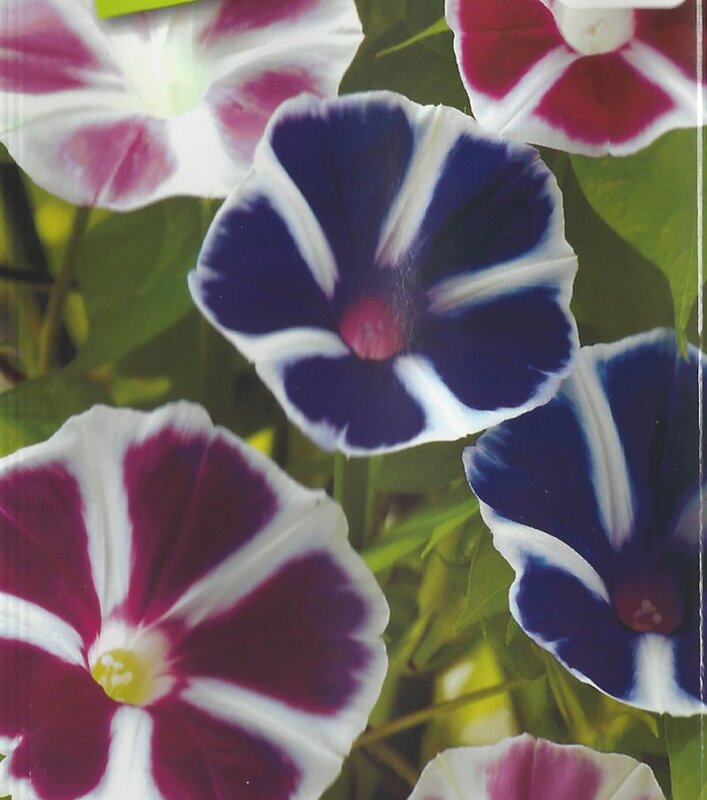 These are smaller flowered Japanese Morning glories (About 2.5"- 3") mixed-color blooms with white spokes and edges. These are a bit tougher than some of the larger JMG's, sometimes lasting until mid-day. NOTE: I don't know how many seeds are in the pack it doesn't say, even in Japanese! From my experience with the Japanese Morning glories, there should be between 8 and 10 seeds per pack.